Let us bring you love of nature. You will feel special every time you are here in Dragon Hill Spa. Feel free to indulge yourself into the world of health and wellness in Dragon Hill Spa. Our outdoor pool is 1.2m deep and serves all your family members in the heart of the city. Come and enjoy outdoor swimming right under the blazing sun. Our pool maintains a constant temperature throughout all seasons using automatic water temperature controller. Artificial waterfall on the side will remind you of the image of a legendary dragon soaring to the sky in a world of fantasy. Fulfill your joy of plunging into outdoor pool to cool your body after sauna! Indulge into quality massage right next to the water fall! This is a place full of fun and entertainment throughout all four seasons. Have your private gathering while enjoying swimming outdoor and feel the dynamic energy of fresh and clean Dragon Hill Spa. Our Finnish Sauna located next to the outdoor hot spring swimming pool is a perfect getaway for those with fatigue. Upon entering the outdoor Finnish Sauna of Dragon Hill Spa, you will feel refreshed like no other. 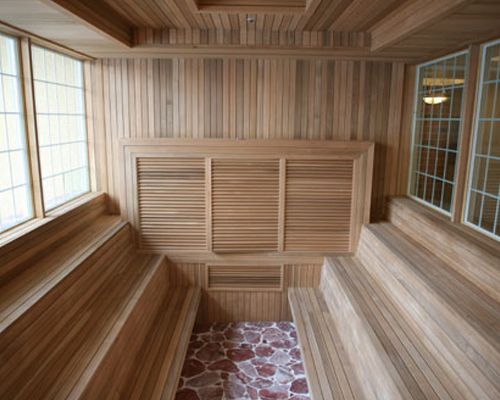 Finnish Sauna makes your heart run faster, speeds up blood circulation and detoxifies your body, thereby revitalizing your skin and muscles, recovering from fatigue and improving your overall physical condition. Ultraviolet rays from sunlight helps slow down the aging of your skin with melanin pigment settling in your skin to protect it from the sun, browning your body. Appropriate tanning makes your skin synthesize vitamin D and promotes blood circulation and sterilization. Spacious outdoor tanning space of Dragon Hill Spa provides pleasant is available for all our customers. Use various body oils to create your dream skin. Alert: Excessive or abused tanning may harm your skin! In the evening after tanning, it is desirable to place sliced potatoes or cucumbers on top of your body to cool down your skin and drink plenty of fluid to replenish your body. It is recommended to eat a lot of fruits & vegetables rich in vitamin C.